It's a feast fit for a king! Sandra Lee makes Prime Rib with Au Jus Gravy, heavenly Horseradish Mashed Potatoes with Chive Butter, Buttery Ale Asparagus and, the Crown Jewel of the feast, a divine English Pudding Cake. And, for cocktail time, it's an outrageous Orange Hot Toddy. And of course, a, English-country inspired tablescape. 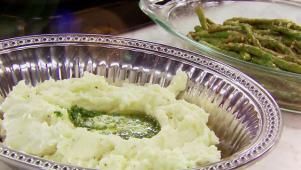 Sandra Lee adds horseradish to her mashed potatoes for an English flare. 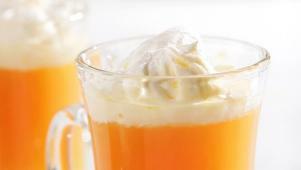 Sandra Lee twists the traditional hot toddy by adding tangy orange juice.